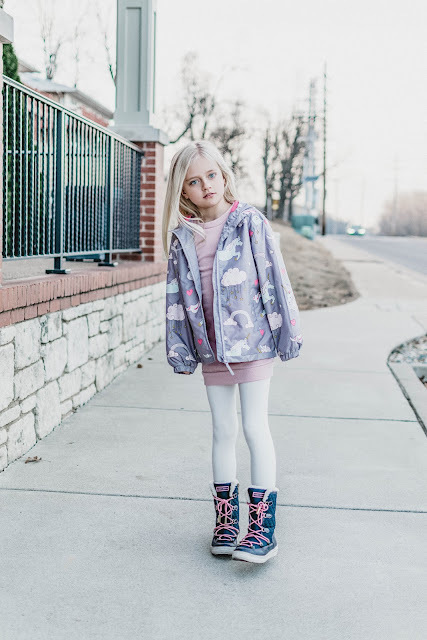 This is the cutest raincoat from Holly & Beau! It changes colors when it gets wet which makes it even more magical! Daphnie doesn't mind as much when it rains now, she just grabs her raincoat and is on her way! 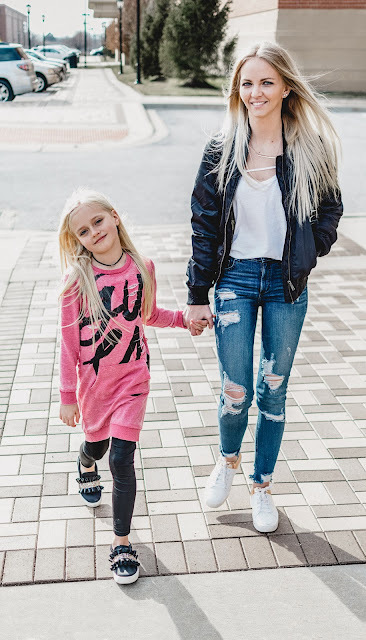 Perfect outfits for a day out on a chilly spring day. 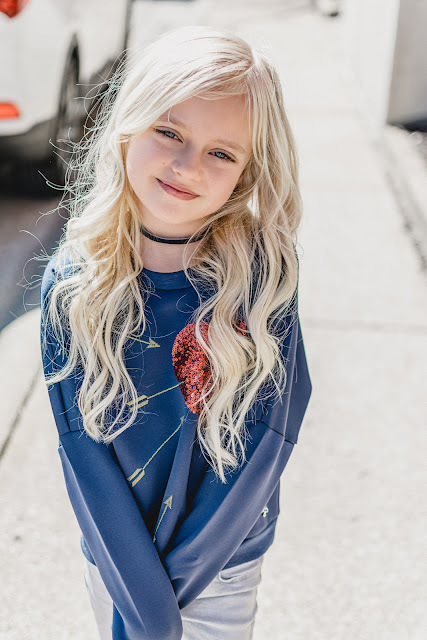 Daphnie's entire outfit is from Joyfolie, one of our favorite brands; they have the cutest clothes!! I love these outfits, simple and comfortable. 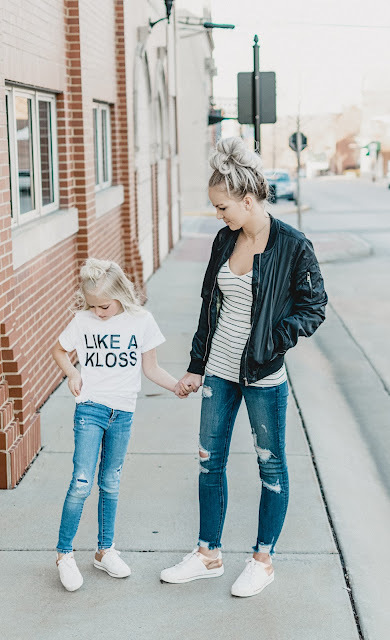 Daphnie's shirt, Like a Kloss was for her career-day where she went as Karlie Kloss! Go check out my blog to read why she chose Karlie HERE! 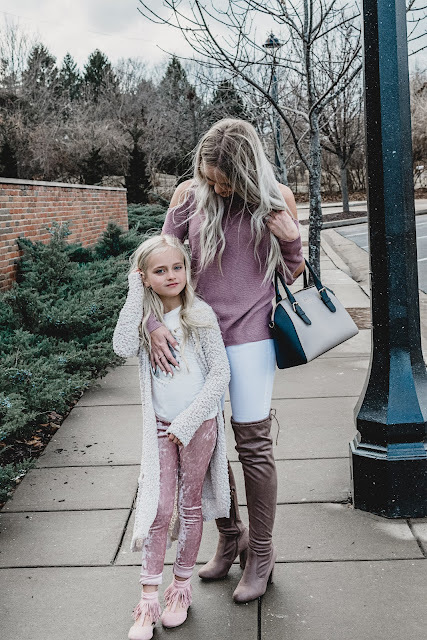 Another set of comfortable outfits for a shopping weekend with my favorite girl! I'm really starting to see a trend in my outfits, not only am I obsessed with these shoes that I designed, see how I designed my own shoes HERE, but I tend to wear a lot of casual but trendy looks. In the small town that we live in, if you are wearing heels you get strange looks, plus running around doing everything that we have to do, it's just easier to wear flats. My feet are thankful for my casual days.